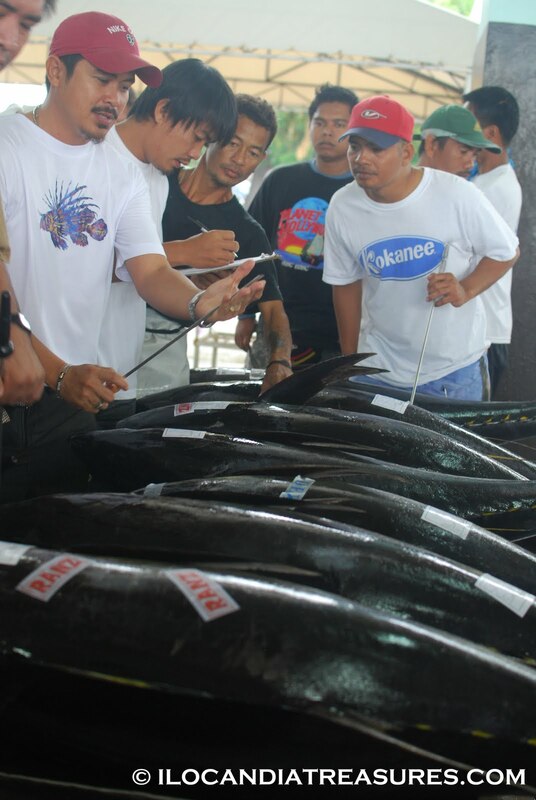 The very purpose of my visit to General Santos City or Gen San is to see how the tuna export market looks like since it is dubbed as the tuna capital of the Philippines since 1970. The city is the largest producer of sashimi-grade tuna and the second largest daily total catch of fish in the Philippines after Navotas City with a capacity of around 750 metric tons. Lungsod ng Heneral Santos is a highly urbanized city and it is a component of the province of South Cotabato. 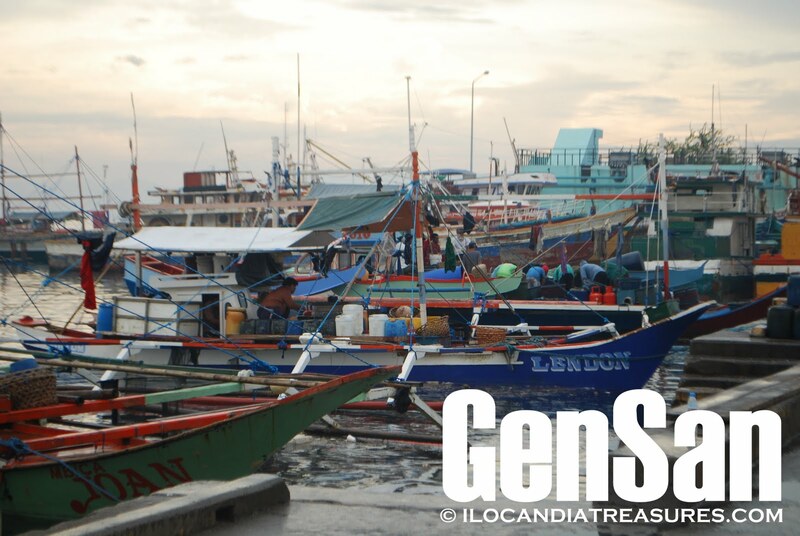 It is the center of commerce and trade in Region XII better known as the SOCCSKSARGEN Region. It has a total of 26 barangays and has an area of 492.86 sq.km. 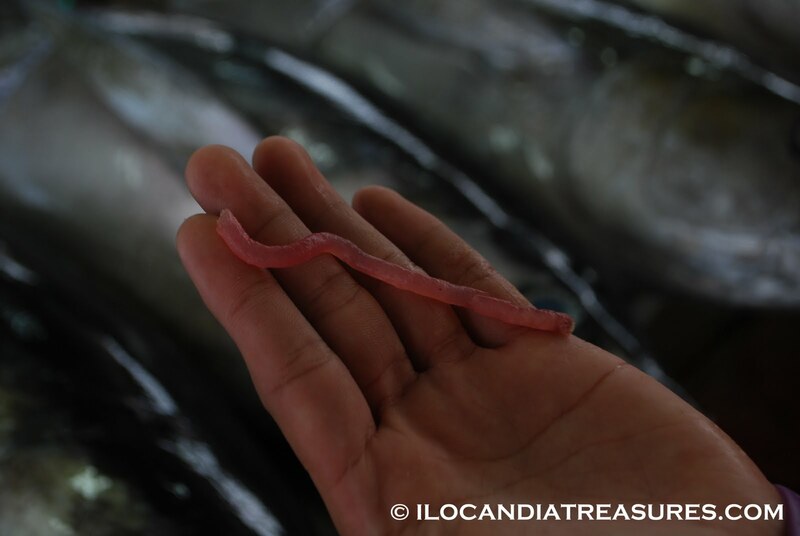 It is located on the coastal area making fishing industry as main source of livelihood. 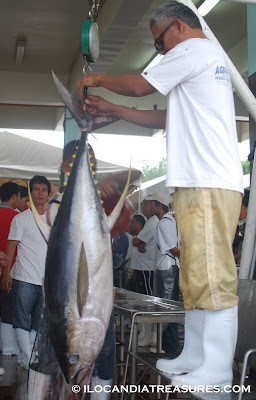 I went to the fishing port in Barangay Tambler early to catch the glimpse of the huge tunas. On my way, I saw workers in their suit and boots who rode on the jeepney Im riding at. It was unfortunate that I was on a shorts and sandals that they won’t allow admission. Because of strict implementation of the policy and that it’s a waste of time to go back to my hotel, I went and tried my best to look for someone whom I can rent boots and pants with. Luckily at the side of the gate there were people with boots for rent. I rented it at 50 pesos and I also rented the pants he’s wearing. Then I went to hitch in a motorcycle. There I saw the fishport with numerous boats. This is a world class fishport complex that has 750-meter quay and a 300-metre wharf. The port is equippped with modern facilities of international standards. People were busy transporting their catch. Several kinds of fish that I saw. 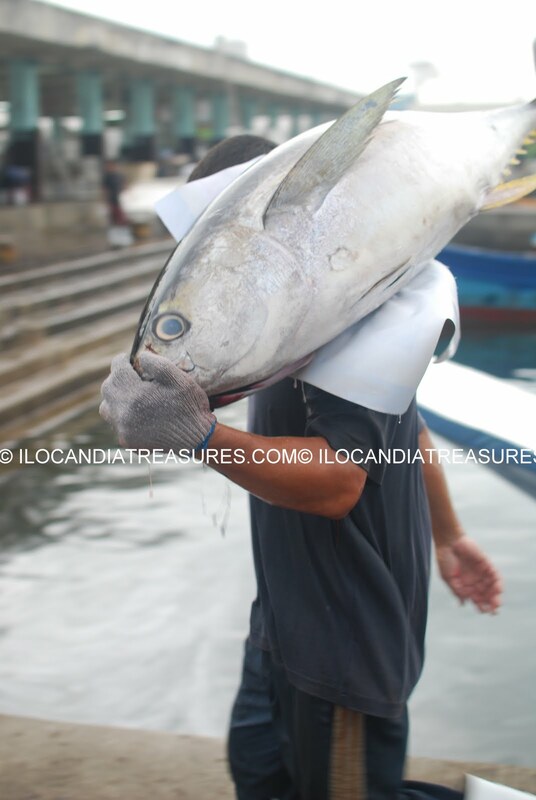 Then at the other end were the huge tunas that men carry on their shoulders. I instantly took photos of them. I even boarded the boat just to see the tunas up close. They were placed on a container on the boat’s body with lots of ice. They have to use force to carry and bring it to the floor. Then one by one, they were picked up by porters. At the hall, they have to weigh each and every tuna. It shall be assessed by buyers and have to pinch a very slim metal tube into the tuna’s body to sample the quality of the meat. They haggle and negotiate with the price of each tuna. I saw some foreigners at the market with Japanese and Caucasians. Aside from exporting tunas, General Santos City process the tuna catch. The city is actually home to seven tuna processing plants which one can see along the highway. Then coming back to the city, I looked for restaurants that serve tuna and I was lucky to find one. I had a taste of the sinigang na tuna with partnered wtih seaweed lato salad. This was truly a great tuna trip experience.